Today's breaking news included the exposure of a vast Iranian Facebook news manipulation operation, which spanned mot only the Middle East, but Europe as well. Facebook dismantled or deactivated 783 pages and accounts for engaging in a disinformation campaign linked to Iran. Many of the articles tracked the Iranian slant on news, and were favorable regarding the Islamic Republic. Compliance officers should not ever take, at face value, ANY news articles appearing on a Facebook page. One must always travel to the official source, which must be a legitimate, established news source, and never accept what someone on social media says is the article. We regard Facebook, as we do all social media and social networking sites, as valuable sources of images, for facial recognition software purposes, but not for news. This Iranian operation is textbook information manipulation. RUSSIAN ALTERATION OF DOCUMENTS FROM SPECIAL PROSECUTOR CONFIRMS "TRUST BUT VERIFY"
The disclosure yesterday, that Russian hackers took unclassified documents delivered in Discovery to a defendant Russian corporation's attorneys in one of the Special Prosecutor cases, altered them so as to make the Government's case appear weaker, and released the "documents" on the Internet, in a disinformation scheme. The matter became public knowledge when the Special Prosecutor objected to releasing any additional documents to defense counsel for that reason. 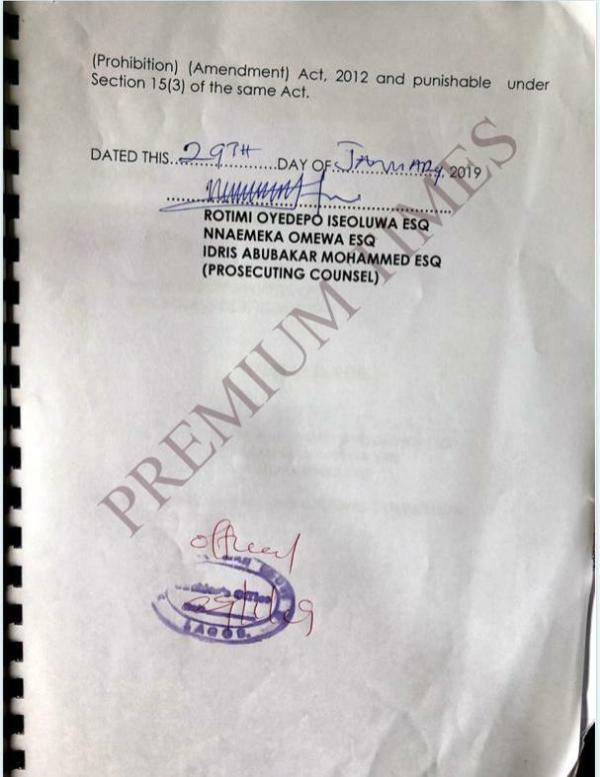 This serves as a reminder that you simply cannot trust what appear to be official documents posted to the Internet to be accurate copies of the originals on file in court. While this blog makes it a policy to attach copies of court documents to important articles, never assume that other Internet sites are not altering their copies, as part of a hidden agenda. Readers might want to make it a policy of their due diligence programs to obtain, directly from official sources, copies of court pleadings and exhibits, rather than accept what the Internet offers fro free. Federal documents on file in civil, criminal, appellate or bankruptcy cases can be found on PACER, Public Access to Court Electronic Records; many state courts are also available online, and directly from the source. 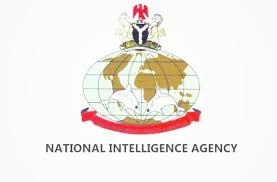 Money laundering charges (four counts) have been filed in Nigeria, against Ayodele Oke, the former head of the Nigeria Intelligence Agency (NIA) and his wife Folasade. He was officially removed from office after a cache of $43m, in cash, was found in an apartment he controlled. Oke allegedly used $1.6m, of government money, to purchase the apartment where the cash was seized. Below is the actual charge sheet against Oke filed in Federal High Court, originally published by the Premium Times. 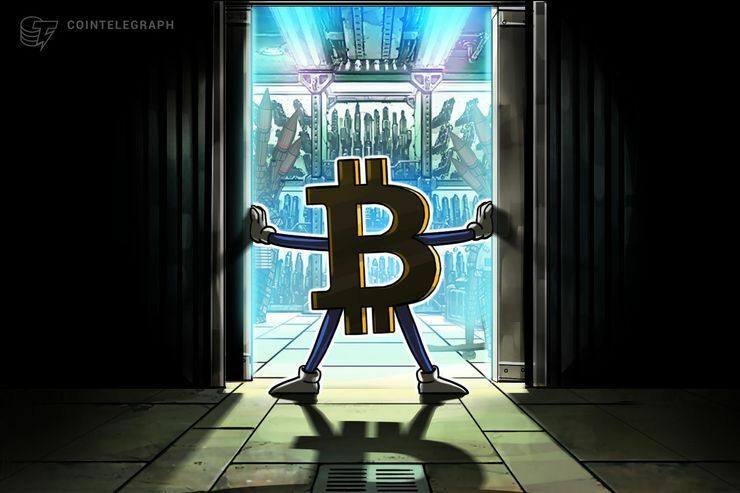 Hamas, the Specially Designated Global Terrorist (SDGT) organization that controls the Palestinian Territory of the Gaza Strip, currently cash-poor, has asked its financial supporters to remit funds to it in Bitcoin (BTC), the world's largest crypto currency. The request was made through its spokesman, Abu Obeida, who acts for Hamas Izz al-Din al-Qassam Brigades, the terrorist group's military faction. 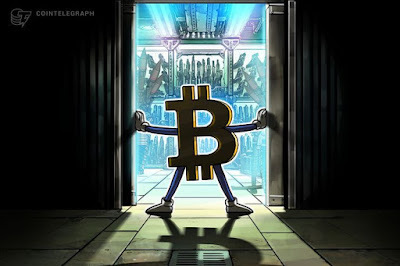 Given the OFAC sanction issued by the United States against Hamas, which has caused most international banks to prohibit the provision of any services to the organization, crypto currency, which operates outside normal financial channels, and has a level of anonymity and opacity that terrorist seek, it is not surprising that Hamas has resorted to seeking Bitcoin from its support network. IS THE REGIME IN VENEZUELA TURNING OVER ITS GOLD RESERVES TO RUSSIA ? This story sounds more like it comes from actions taken by Nazi Germany 1945, as the Russian Army closed in on Berlin, but it is 2019, and the location is Caracas, Venezuela. 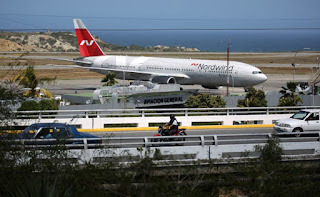 Venezuela is buzzing with reports that a former minister has disclosed the B777 aircraft, owned by a Russian charter airline, now sitting in a private area at the country's international airport, arrived without any passengers, with a mission to receive $840m in gold, to be transferred to Russia, to pay Venezuela's massive outstanding debt to that nation. We are unable to verify this information, but the gold described represents major portion of Venezuela's foreign reserves. If true, the next democratic government in Venezuela will inherit a pile of foreign debt, and greatly reduced reserves to rebuild their country. 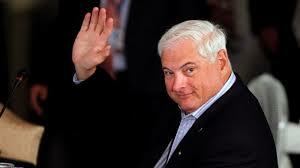 The trial of former Panamanian president Ricardo Martinelli has been set for March 12, 2019 in Panama City. The ex-president faces charges of corruption and for illegally conducting audio and video surveillance upon 150 of Panama's most prominent citizens. Many observers of the Panama political scene openly doubted that the former president, said to be the most corrupt in the country's sordid history of political misconduct, would ever see the inside of a courtroom. After the supreme Court of Justice, the nation's highest court, declined to hear the case, testimony in Spain revealed that the judge in the Court who passed on the case was known to be corrupt, accepting bribes to fix cases before the Court. Mrtinelli remains in custody in El Renacer Prison. Two former Nigerian INEC officials, convicted of receiving bribes to compromise the 2015 elections from the former Minister of Petroleum Resources, Diezani Alison-Madueke, were sentenced to seven years in prison. 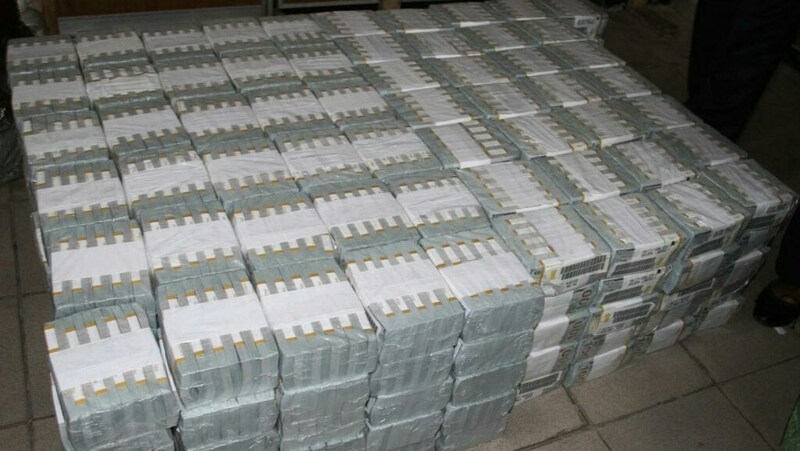 Christian Nwosu and Tijani Bashir were among the officials who received, in total, $115m from Diezani. 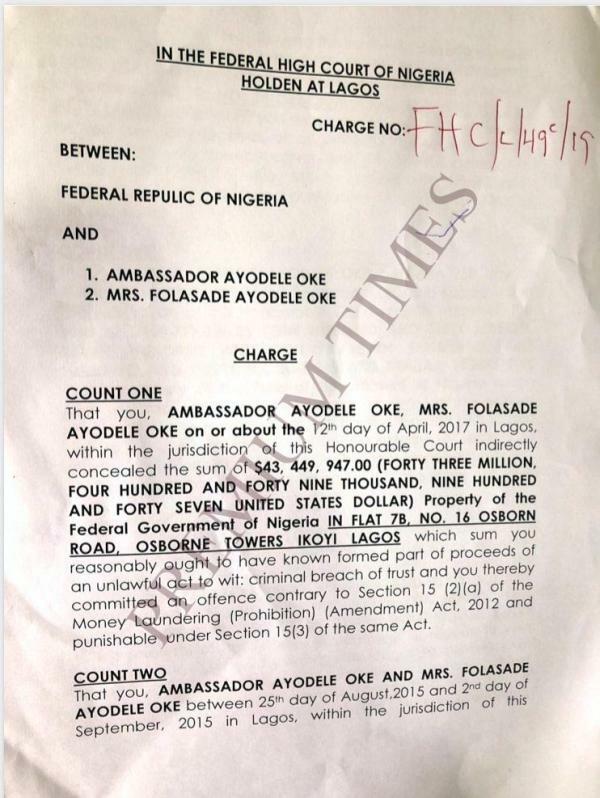 They received in essence a minimal sentence, as Nigerian guidelines provide for a 7-14 year sentence for bribery. 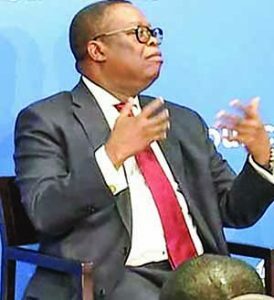 Diezani is well known in the East Caribbean, as the purchaser of a diplomatic passport from the Commonwealth of Dominica, under what were unusual circumstances. 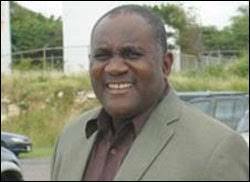 She had the Prime Minister of Dominica, Roosevelt Skerrit, fly to London to deliver the passport to her, and she unsuccessfully sought to use the passport to shield her from a subsequent arrest in the United Kingdom. British authorities declined to recognize her Dominican diplomatic passport as evidence of diplomatic immunity. 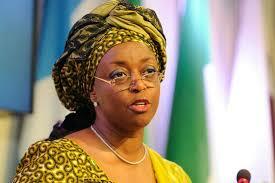 he has since been charged with serious crimes in her native Nigeria, and extradition proceedings commenced. Six months after the Government of Malta engaged the services of a global AML/CFT consultancy, the country's Finance Minister, Edward Scicluna belatedly disclosed the fact that it had paid over two million Euros, for services designed to bring Malta into compliance with the EU Money laundering Directive, and to combat terrorist financing. Malta, where systemic corruption, inclusion by its officials in the Panama Papers, the Pilatus Bank scandal, and the reputed abuse of its CBI passports by criminals and dirty PEPs, does not need any more secrecy about the steps it is taking to clean up its act. Was the Finance Minister afraid that advising the Maltese public, who he is supposed to serve, might wonder what else had not been made public ? we trust that any other remedial action being taken will be transparent, and not hiding in the closet somewhere, Mr. Minister. Anthony Livoti. a prominent Fort Lauderdale attorney, who was the trustee for the life settlements firm Mutual Benefits Corp., which was determined to be a billion dollar Ponzi scheme, has lost his last change to escape from the ten-year sentence imposed upon him for his participation. Attorney Livoti, as trustee, had a fiduciary duty to the Mutual Benefits investors. The firm paid off old investors with funds from new investors, and falsified the life expectancy estimates investors relied upon. in deciding which life settlements to invest in. 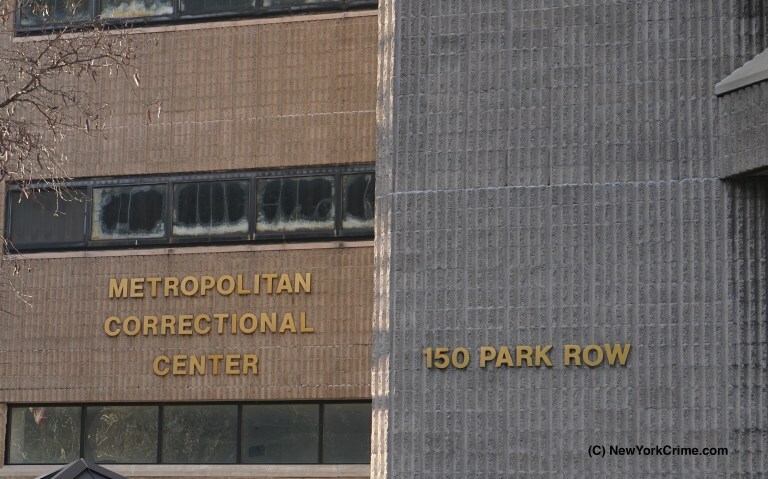 Several MBC executives and staff members have already be convicted, and are serving Federal prison terms for their crimes. 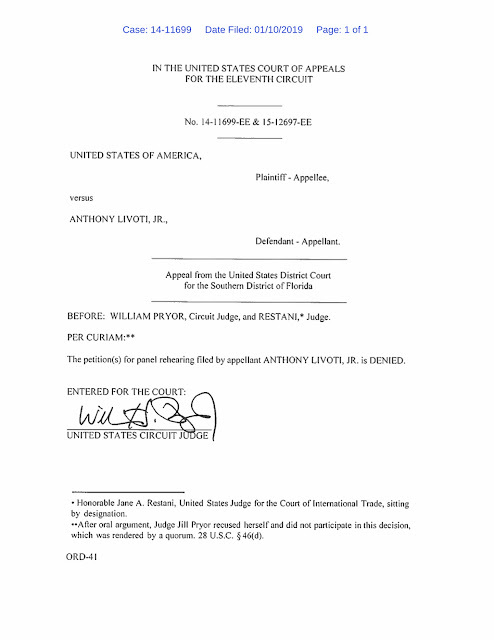 Livoti was reportedly offered a short sentence (2 years) to enter a guilty plea, but he chose to to to trial, with disastrous results at sentencing. The Eleventh Circuit court of Appeals affirmed his conviction, in a thirty-page decision. 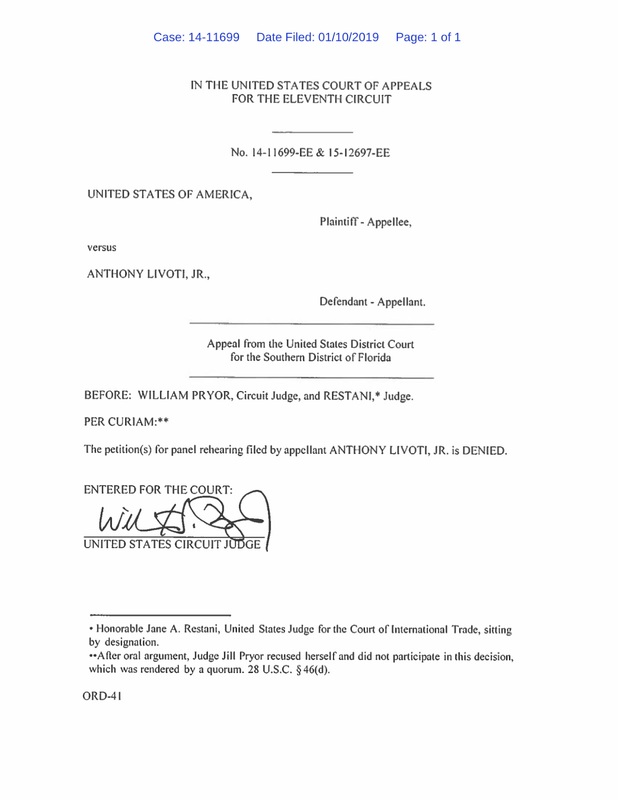 Below is the order denying his petition to have the full Court conduct a rehearing of his appeal. he is currently incarcerated at the Miami FCI; his Release date is August 20, 2021. The title of the lecture he presented at the conference, The Importance of Ethics in External Audits in the Financial and Banking Intermediation Entities, indicates that Dominican regulators must have blinders on, to invite a known former corrupt official, to speak on ethics. 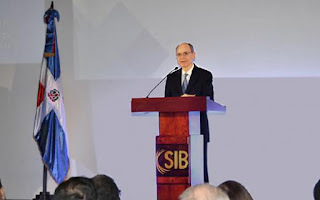 His appearance is a cruel joke upon the people of the Republic of Panama, who now must deal with their country's international reputation as a center for money laundering, which Diamond not only failed to deal with, he actually encouraged it. 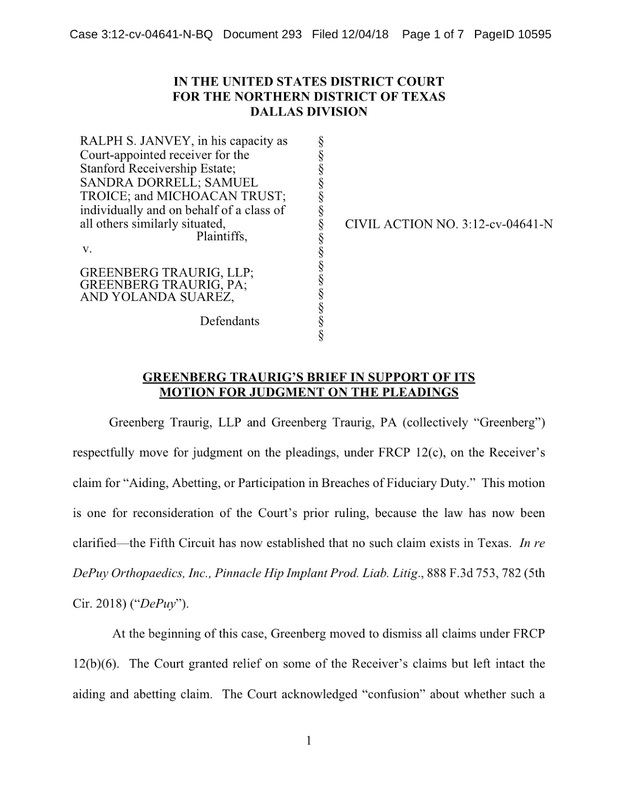 Greenberg Traurig LLP, one of the most powerful law firms in the United States, and which formerly represented Ponzi schemer R Allen Stanford and Stanford International Bank, has asserted in a Texas Federal case that it has no legal liability to Stanford investors for their losses. It has filed a Motion for Judgment on the Pleadings*, directed to the remaining allegation, that Greenberg aided and abetted Stanford in the breach of a fiduciary duty owed to clients of his offshore bank, or were knowing participants in the Ponzi scheme. 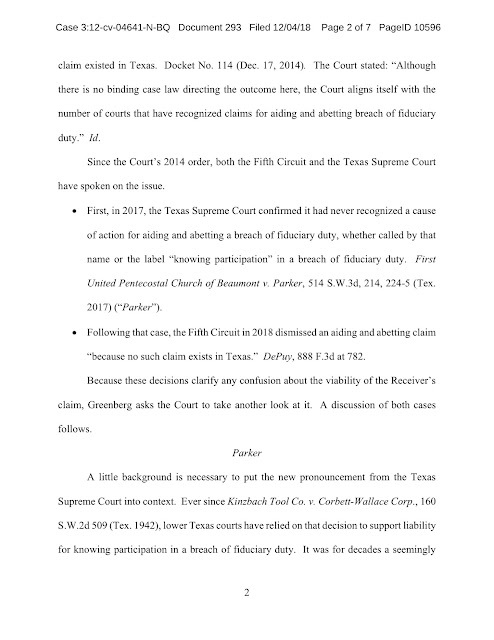 The law firm, which has been a defendant since 2012, in a lawsuit filed by the court-appointed Receiver in the Stanford Bank case, has recently challenged the sole remaining count pending against it, and supported its position with recent case law that holds, under Texas law**, there is no cause of action for Aiding and Abetting a breach of Fiduciary Duty, citing a 2017 Supreme Court of Texas, decision, and a 2018 case in the Fifth Circuit Court of Appeals. The case law, which appears to be relevant and dispositive of the issue, appears in a memorandum of law filed by the law firm. The master Ponzi schemer, Allen Stanford, is currently serving a 110-year sentence at the United States Penitentiary Coleman II, and his release date is April 17, 2105. Readers who are interested in the case law cited in the Memorandum, see pages 1 and 2 below. * A Motion for Judgment on the Pleadings lies when there is no issue of material fact, and the movant is entitled to prevail as a matter of law. It must be based upon the pleadings as filed, and no affidavits or other evidence or materials may be introduced. In that respect, it differs from a Motion for Summary Judgment, which allows additional proof. 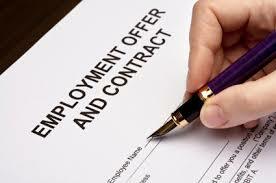 ** The Erie Doctrine provides that a Federal Court, in a diversity or bankruptcy case. must apply substantive state law, to resolve claims under state law. 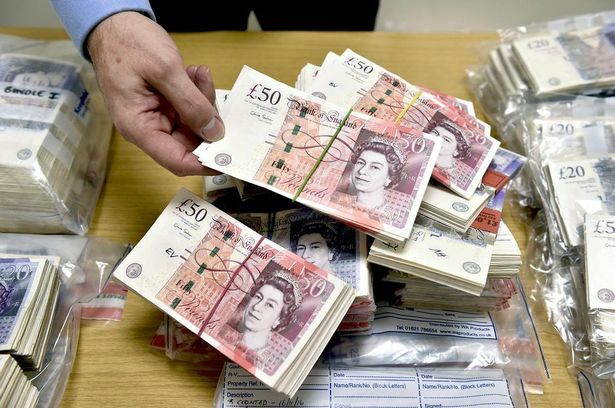 The arrest of three suspects last Wednesday, and the seizure of £900,000 in cash, as they attempted to leave the United Kingdom, via the Channel Tunnel, reminds us that bulk cash smuggling is alive and well in Europe. The individuals involved have been charged with money laundering, and remanded into custody, after appearing before Magistrates' Court. But is this a simple case of a money laundering operators caught in the act, or is it the interdiction of a terrorist financing syndicate ? There is very little information available at this time. The names of the individuals arrested are below. Their names suggest that they may be British Pakistanis. Their next court appearance is scheduled for February 22. A well-know Parisian criminal defense attorney, Bruno Vinay, was taken into custody this week by the DGSI, the domestic intelligence agency of France, on terrorist financing allegations. Vinay, who has a long record of defending radical jihadists and accused terrorists, allegedly sent €20,000 to jihadists in the Middle East, which was intended to facilitate the exfiltration of a radical Islamic State leader from Iraq, and his subsequent relocation to France. The radical's wife is serving a life sentence in Iraq; she is a member of ISIS. 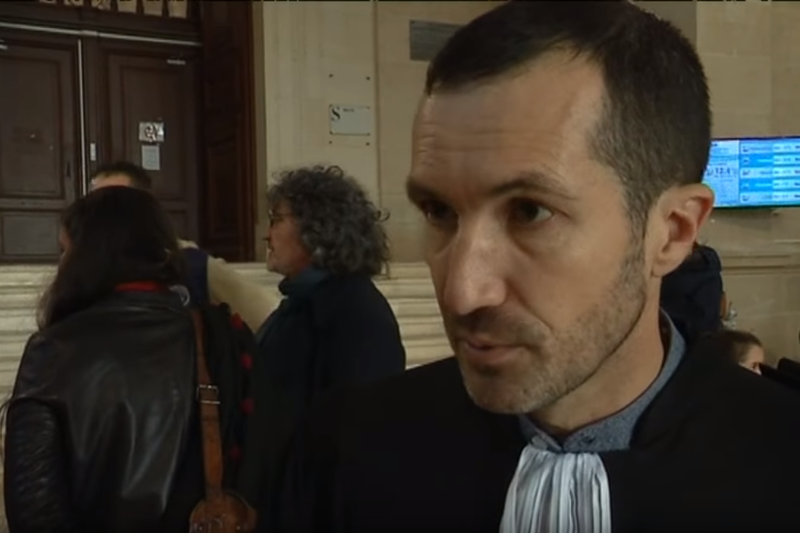 Vinay, who was later released, under judicial supervision, has been prohibited from meeting with his client, has been charged with Financing a Terrorist Enterprise, and Unauthorized Transfer of a Sum > €10,000. 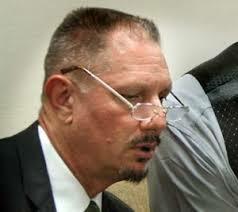 The examining magistrate is said to be seeking a suspension of his ability to practice law. The law provides for a 4-month suspension, which can be reviewed. Compliance officers who work at the British Columbia offices of TD Bank and National Bank of Canada must be asleep at their desks, for, according to a civil forfeiture suit filed in that Canadian Province, they permitted their banks to lend mortgage money to a well-known career criminal ( 4 felony convictions), who was engaged in money laundering through real estate transactions , and who is suspected of laundering $220m, which was the proceeds of crime. Or did these banks know about these details, but lent the money anyway ? 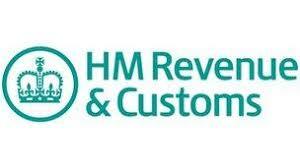 Readers in the UK are advised to review the updated Guidance published this week by Her Majesty's Revenue and Customs Money Laundering Supervision : Civil Measures here. 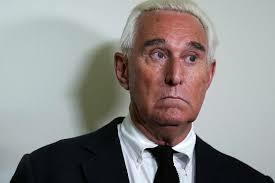 Readers who wish to review the complete text of the new Indictment filed in US District Court for the District of Columbia, against Roger Stone may access the document here. 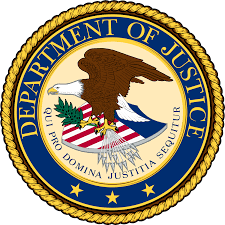 (United States of America vs. Roger Jason Stone, Jr.
We recently advised compliance officers to remain alert for the sudden movement of funds, by senior Venezuelan PEPs, and other government insiders, should the Maduro government collapse, or a violent civil war break out. 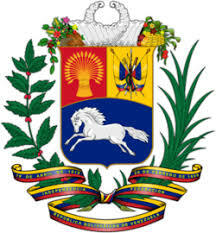 Now, after the United States has recognized the Opposition candidate as the elected president, and Venezuela has banished American diplomats from the country, your media antenna should be focused upon unfolding developments, as you carefully review all large US Dollar transactions sent by Venezuelan nationals. You can expect that Venezuelan PEPs who cannot prove that the source of their wealth is legitimate will be making contingent plans to relocate their asserts outside of the region, fearing that the next democratic Venezuelan government will seek to seize and forfeit money in their accounts. 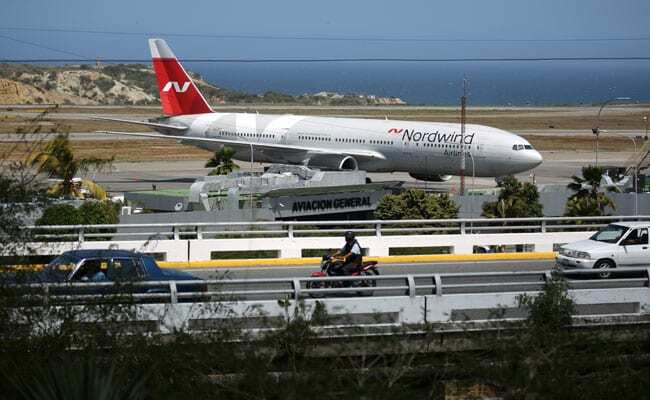 Maintain a high level alert for this type of "flight capital;" This is not profiling, but a response to the increased level of risk that the political chaos in Venezuela has spawned. 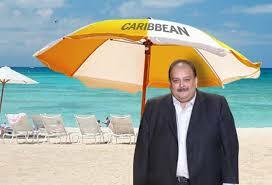 The extradition of the fugitive Indian billion dollar fraudster Mehul Choksi remains in legal limbo, indefinitely delayed by an Antiguan government who prefers that their CBI "citizen" remain in the country, free to spend his illicit wealth there. 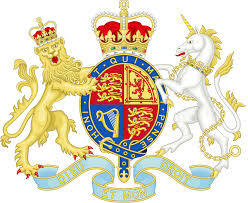 The government-influenced legal system has, like it has successfully done with Leroy King, thrown dilatory legal roadblocks down, resulting in zero forward movement in the extradition process. Even the issuance of an INTERPOL Red Notice has failed to have any effect upon an infinite "review" of the Choksi case, now pending for more than one half of a year. Choksi's attorneys have surrendered his Indian passport at the office of the Indian High Commissioner in Guyana. It was revoked when Choksi purchased his CBI passport in Antigua, as Indian law prohibits dual citizenship, and mandates loss of an Indian passport when a second nationality is acquired or secured. It is now believed that the extradition case against Choksi, moving at a glacial pace, will never result in his return to face justice in India, due to the systemic corruption that infects the Antiguan judicial system. Just as Leroy King will probably never come before an American judge, to face corruption charges in the Stanford case, Choksi will not be seen inside an Indian courtroom, so long as he has the wealth to purchase his continued residence in Antigua, and foreign investors are avoiding Antigua due to the scandal over the corrupt court system. WILL EUROPEAN COMMISSION'S SCATHING REPORT ON CBI PROGRAMS END THEM IN THE EU ? Today, the European Commission has published its watershed report on the threats posed by its members' Citizenship by Investment (CBP/CIP) Programs. 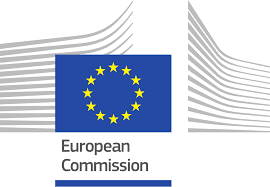 entitled Report from the Commission to the European Parliament, the Council, the European Economic and Social Committee and the Committee of the Regions. Compliance officers are advised to take the time to review the entire 25-page white paper, which may be accessed here. 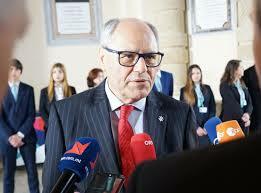 Will the European Commission drive the CBI programs, currently running in Malta and Cyprus, in oblivion ? Read the report, and then think about your answer. If you read the fine print, regarding the story of the two Tanzania-flagged tankers that crashed into each other, and sunk, with major loss of life, there was a hidden agenda : both vessels, under Russian control, had been smuggling petroleum products into Syria for years, in violation of international sanctions. 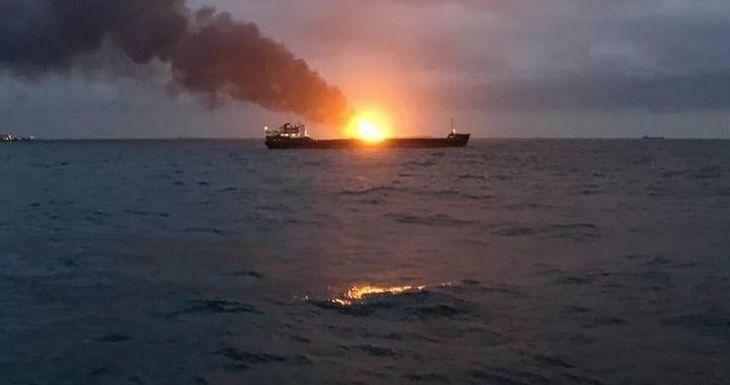 Apparently, these two vessels had both turned off their Automated Identification System (AIS), to evade detection, as their ultimate destination was not the listed one, Lebanon, but Syria. No wonder they crashed into one another, in bad weather. 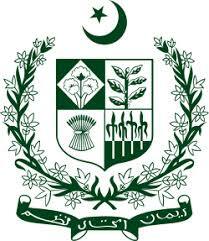 The Government of Pakistan is putting real teeth in its modifications to anti-money laundering and terrorist financing laws, based in large part upon its being assigned "Grey" status by the Financial Action Task Force (FATF). Pakistan has, frankly, failed to curb both money launderers and those who provide financial support to terrorist organizations, and these new laws could effectively take a bite out of crime. 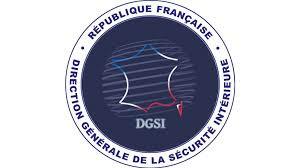 (1) Increasing the maximum punishment for money laundering from the present two years, to three to ten years. (2) Making money laundering an offense for which there will be no bail for offenders. 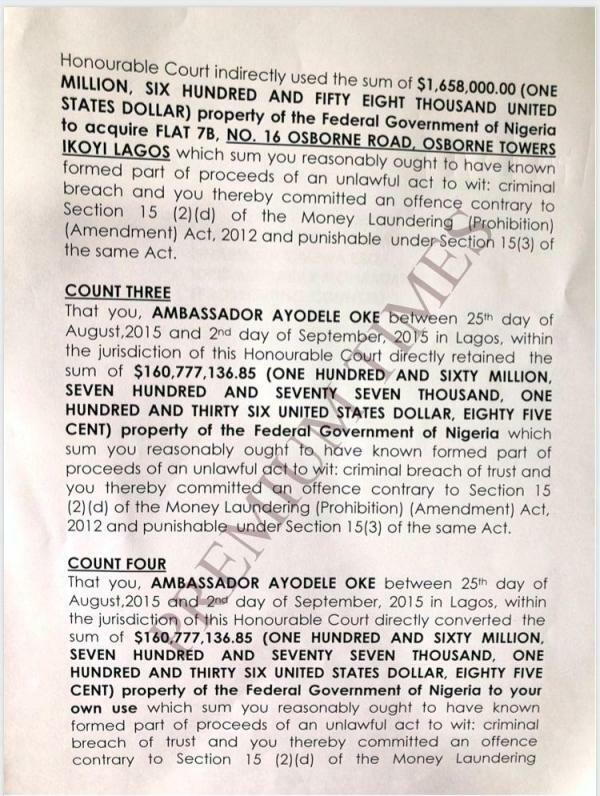 This is candidly a measure that should be adopted in all jurisdictions where money laundering is reportedly rampant. (3) Monetary fines will be increased tenfold. (4) Limits to be placed upon bulk cash transfer of both domestic and foreign currency, leaving and entering the country. (5) The local courts will be required to fast-track money laundering, financial crime and terrorist financing cases to go to trial within six months from date of filing. There are two more FATF events related to Pakistan in 2019, one a review and another an inspection. 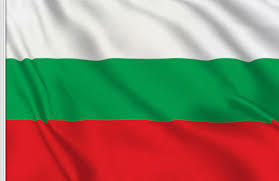 Official reports from Bulgaria indicate that the government has decided to close down its Citizenship by Investment (CBI) program, due to what it claims is a lack of investor interest. Reportedly, only fifty CBO citizenships have been sold since the program opened in 2013, and the government stated that the program has failed to bring any significant benefits into the country. No new jobs have been created, nor has economic growth been augmented, according to government sources. It is not known whether this decision came in part becuse the European Commission of the EU prepared to release a report today that warned CBI programs can facilitate organized crime and money laundering within the European Union. 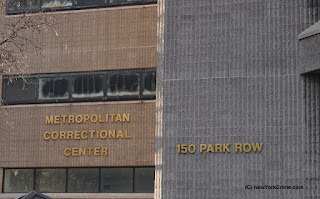 Victor Casado, a Federal corrections officer who smuggled cellular telephones and alcohol to the Iranian oil-for-gold sanctions evader, Reza Zarrab, when he was confined at the Metropolitan Correctional Center, the Federal pre-trial facility in Manhatten, and reportedly received $50,000 in bribes for that service, was sentenced this month to three years' imprisonment, and three years Supervised Release after he has served his period of incarceration. Casado, a former New York City police officer who resigned in disgrace in 2008, must also forfeit $26,500, the amount that the government was able to trace and document. he must surrender at the Danbury FCI on February 26, to begin his sentence. The European Union has imposed sanctions upon the two senior leaders of the Russian GRU, its military intelligence service, for nerve agent attacks in the UK in 2018. The alleged perpetrators f the attack were also listed. 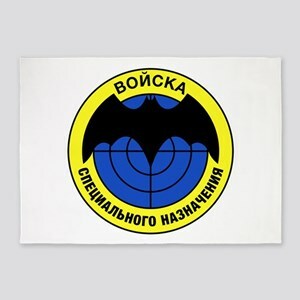 (1) Igor Kostyukov, head of GRU. (2) Alexander Alekseyev, his deputy. (3) Alexander Petrov, alleged Salisbury attacker. (4) Ruslan Boshirov, the second alleged attacker. Travel bans and asset freezes have been instituted against the individuals listed. The Russian government has denied that there are any basis for the sanctions imposed. A UK High Court ruling* reportedly handed down today, against one of the world's most widely used databases of high-risk individuals and entities, for listing an NGO and its leader as terrorists, without making an independent investigation, should be required reading for compliance officers concerned about terrorist financing. If you close an account, based upon what is later determined to be incorrect, stale, or simply erroneous data, there may be consequences for your bank, including reputation damage, or a civil suit from your customer. Middle East media is stating that the penalty, removal of the "Terrorist" designation, plus a £10,000 payment, and attorney's fees and costs, is the result of the database error, which consisted of solely relying upon a single source, which was possibly not objective, and may have had a hidden or political agenda. I may personally agree with the "Terrorist" designation, on the facts of this specific case, but the Court was eminently correct to require that the database provider made an independent inquiry prior to classifying the individual, and his NGO, as terrorists. There must be a factual basis for the designation, if it is to be accurate, especially where such a potentially damning designation is being made. There have been a multitude of complaints in recent years, about the truth and accuracy of information contained in commercial off-the-shelf databases of high-risk individuals and entities, and some have resulted in civil litigation. 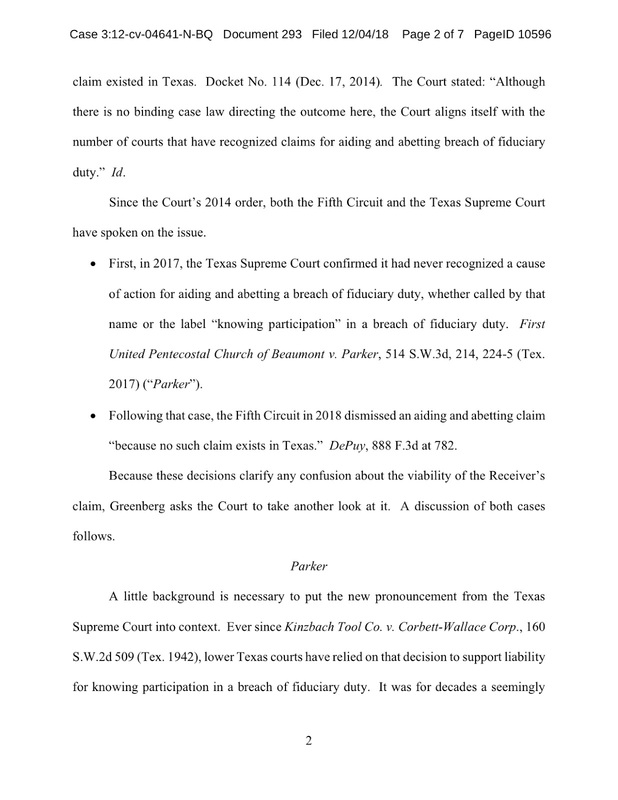 In fact, the attorney for the plaintiff in the above case has publicly stated that he has approximately twenty other claimants, similarly situated, who he expects will either obtain a correction in the database, or also file a lawsuit. Databases are only as good as the compliance officer using them; it is, as President Reagan once wisely said, "Trust, but verify." Make sure information concerning clients is reliable, before acting upon it. *Majed al-Zeer claim against Thomson Reuters Limited (World-Check). A prior lawsuit, on similar facts, involved Finsbury Park Mosque, with the same results. 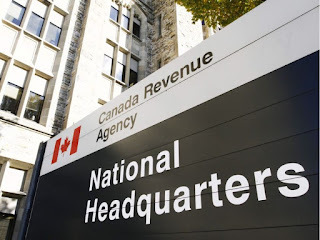 A case out of Ottawa reminds us that, so long as the courts only mete out a small slap on the wrist for money laundering offenses, individuals will never be sufficiently deterred from committing that crime. Only when prison time is the central component of the sentence is there any serious deterrent to discourage individuals from contemplating laundering actions. A dentist, Kin Tung Fong, has pled guilty to tax fraud, and laundering the proceeds of crime. He received a conditional sentence of two years, including one year of house arrest. A conditional sentence does not involve incarceration. Fong participated in a tax evasion scheme, whereby he intentionally evaded Federal taxes exceeding five hundred thousand Canadian Dollars. He also illegally collected substantial tax credits. The Financial Supervisory Service (FSS), the financial regulatory agency of the Republic of Korea recently published its Annual report, on January 19, 2019, but the report failed to notify either the financial sector, nor consumers, of the existence of either the latest iteration of USD$100 "Supernote", Series 2006, which was identified at KEB Hana Bank, or of the Chinese-made copy of the 2006 Series, known to have been shipped, in great quantities, into South Korea. Given the lag time between completing and publishing information, and to give the FSS the benefit of the doubt, I went back 4 months, looking for any mention in FSS press releases, about either of these bogus currencies, either of which could seriously affect both public faith in the Dollar, and the global economy in general, should these currencies be released in quantity. I failed to find any mention of either threat. Perhaps the FSS wishes to publicly explain why it is keeping its banks, as well as Korean consumers, in the dark about these emerging threats; It may also want to consult with the Federal regulatory agencies in the United States. 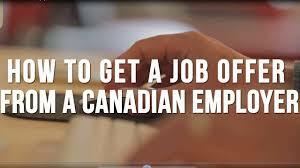 Canada offers a very attractive program, to encourage foreign nationals to emigrate to Canada to take advantage of work sponsorships offered by the country's employers. 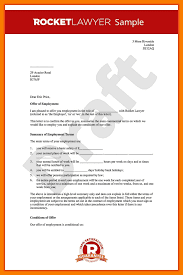 Armed with a letter from local sponsor, a work permit is quickly and efficiently obtained, and a Canadian business has an additional, productive member of its staff. That is how the program is supposed to be administered. (1) Iranian and Chinese nationals, having previously obtained CBI passports from either Cyprus or Malta, travel, visa-free, to Canada, as non-immigrant visitors. Since they hold EU passports, they are not required to obtain a visa, and be subject to scrutiny. (2) Having arrived in the country, they pay a dishonest company owner upwards of $50,000 to offer to sponsor them, paying in cash, for that valuable sponsor document, an Offer of Employment. (3) The fraudster, now having received a Canadian Work Permit, never shows up to commence work with his so-called sponsor. He simply disappears into wherever in Canada he finds attractive or convenient, and the government's well-intentioned program has allowed one more dodgy individual who never would have qualified for a visa, under his true identity and nationality, into Canada, complete with legal status. While Canadian government regulators have not yet identified, and eliminated, this abuse, rest assured that they have recently be notified. 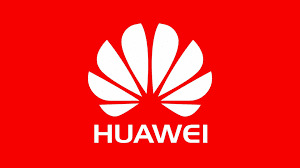 If Canada ends up with a large number of highly questionable individuals, from high-risk jurisdictions, Country Risk might be increased by compliance officers who fear that Iranian nationals in Canada are scheming to evade international sanctions on Iran, or Chinese nationals in Canada are engaged in illegal activities, on behalf of the Peoples' Republic. Dirk Brauer, who was an "asset manager" for the shuttered Panamanian law firm of Mossack and Fonseca, and was arrested in Paris last year, has been extradited to Germany. 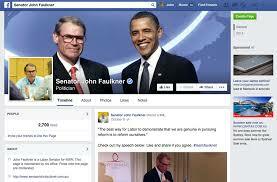 Brauer was indicted in Federal Court in the US, and has been charged with money laundering, wire fraud, and tax fraud. He allegedly formed opaque corporations and foundations in the British Virgin Islands, Hong Kong and the Republic of Panama, to assist affluent US taxpayers in evading income taxes. We have previously reported on his American criminal case on this blog. 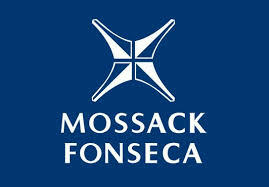 See Panama Identifies Mossack Fonseca staff who helped Siemens hide Money for Bribes and Mossack Fonseca Advisors Indicted in New York from Panama Papers Disclosures. A Parisian court, however, ruled that Brauer was to be sent to Germany, rather than the United States. Brauer is allegedly cooperating with German prosecutors, in connection their investigation of a number of wealthy German nationals. He apparently has not been charged with any criminal activity in Germany. WILL TRUMP IMPOSE GLOBAL SANCTIONS UPON LEBANON TO IMPACT HEZBOLLAH ? 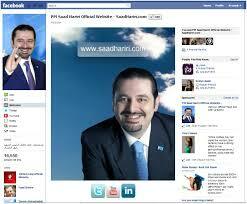 Is Lebanon destined for widespread OFAC sanctions in the future, due to the ascendancy of Hezbollah in its government ? In truth and in fact, Hezbollah represents a clear and present danger to the United States, and the gloves may come off under Trump. As a prominent former official in the Middle East recently stated "Lebanon is the only state in the world with a terror entity which has more raw power than the country's army. Hezbollah is Lebanon. It sits in the government and the parliament. It decides all political issues." Inasmuch as President Donald Trump has seen that the renewed global sanctions on Iran are effective, will he now institute similar sanctions on Lebanon ? 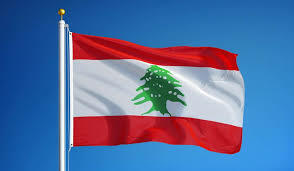 The present administration, while basically following the foreign policy program of the previous one regarding Lebanon, treating it not as an adversary, but as a country that the US want to win over, seems now to have hardened its position. Whether sanctions will be imposed against Lebanon, which will seriously damage its economy, depends upon how much the US wants to weaken Hezbollah, which continues to operate in Syria. If some degree of sanctions are brought against Lebanon, it will not come as a total surprise, as the military assets being sent from Iran could upset the balance of power in the region, and precipitate yet another conflict. 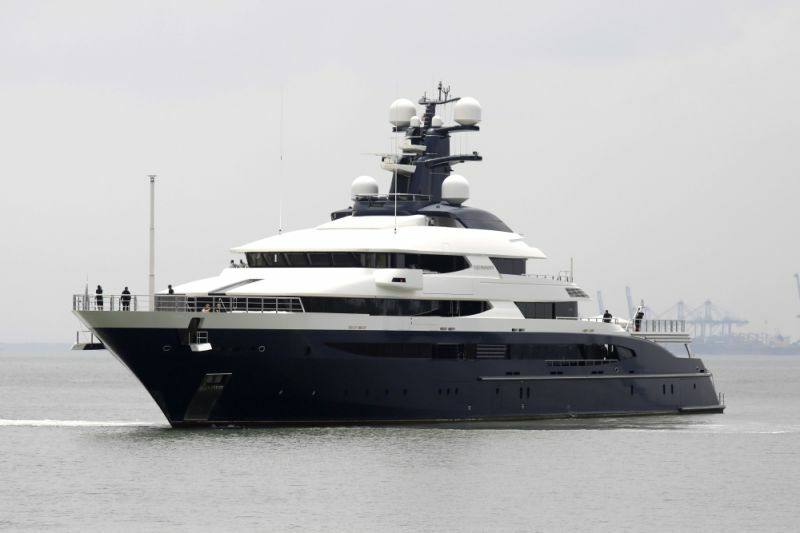 It seems that Malaysia is having a lot of trouble finding a buyer willing to pay a fair price for 1MDB fugitive fraudster Jho Low's $130m mega-yacht. The vessel, which is reportedly docket at a Malaysian Navy facility near Kuala Lumpur, has only drawn substandard bids. Malaysia is said to be paying the equivalent of over $750,00 per month to maintain the the luxury yacht. Jho, who was last seen in Hong Kong and Macao, and is a fugitive from justice, regarding the billion dollar 1MDB scandal, is believed to have transited China, and may be seeking refuge in St Kitts & Nevis, where he hold CBI citizenship, and where he would be immune from extradition; St Kitts has become a safe haven for some financial criminals who have secured SKN passports through the country's Citizenship by Investment program. 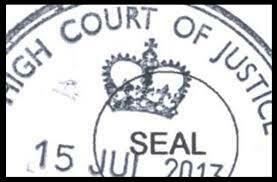 Jho is regarded by some as the poster boy for all that is wrong with East Caribbean CBI programs, where known criminals purchase passports for cash, and the compliance process is a total sham, even though the programs allege that they conduct due diligence upon applicants. Notwithstanding Jho's celebrity history, which we have extensively reported on this blog, the latest news is that he has disappeared from public view, after being seen in Hong Kong. Whether he ever makes it to St. Kitts, in his flight to avoid prosecution, remains a question.